Monoprinting is a type of printmaking that involves versatile imagery that can only be produced once. 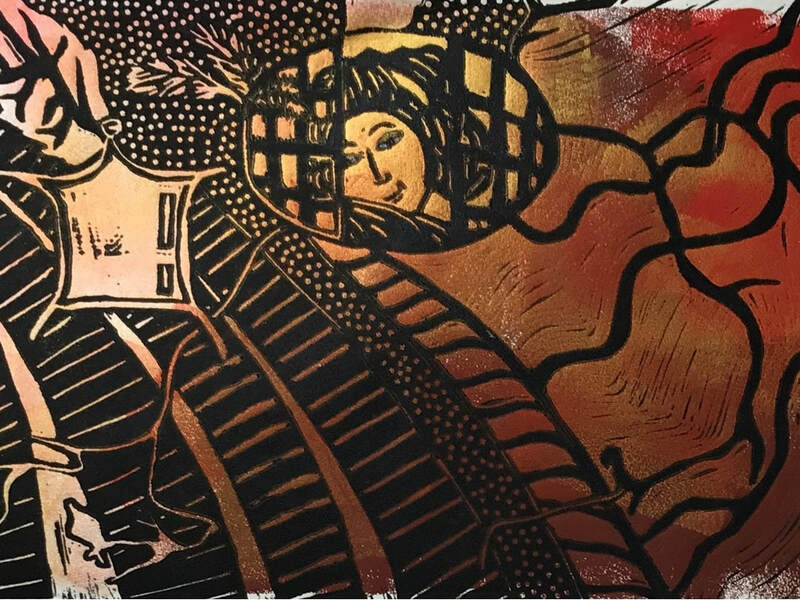 Unlike most printmaking forms, which allow for multiple originals, monoprinting allows for freedom and diversity in mark-making to make a single impression. This workshop will encourage participants to explore this freedom in mark-making to create unique works on paper. The workshop will cover both positive and negative forms of image-making, as well as ways to create texture using found objects. Trace monotype and watercolour monoprinting will also be explored. Participants are encouraged to supply their own notebook/visual diary, paper (cartridge and heavy rag paper), and sketches/preliminary imagery. These items will be available for purchase on the day from the ArtWorld Studio Gallery Shop. Creating textures with found objects.